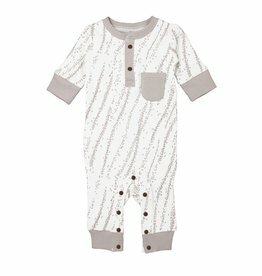 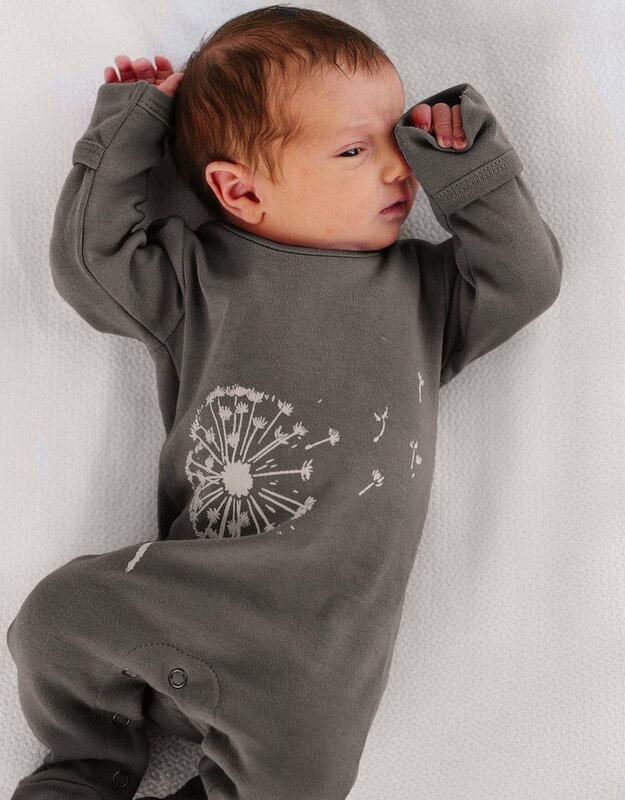 Lovedbaby has done it again with this adorable grey footie! 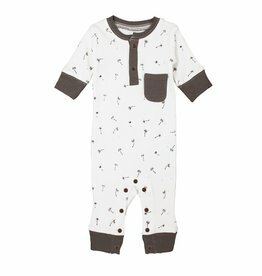 Made with 100% certified organic cotton, it's the perfect addition to your little one's pajama collection because of how soft it feels on the skin. 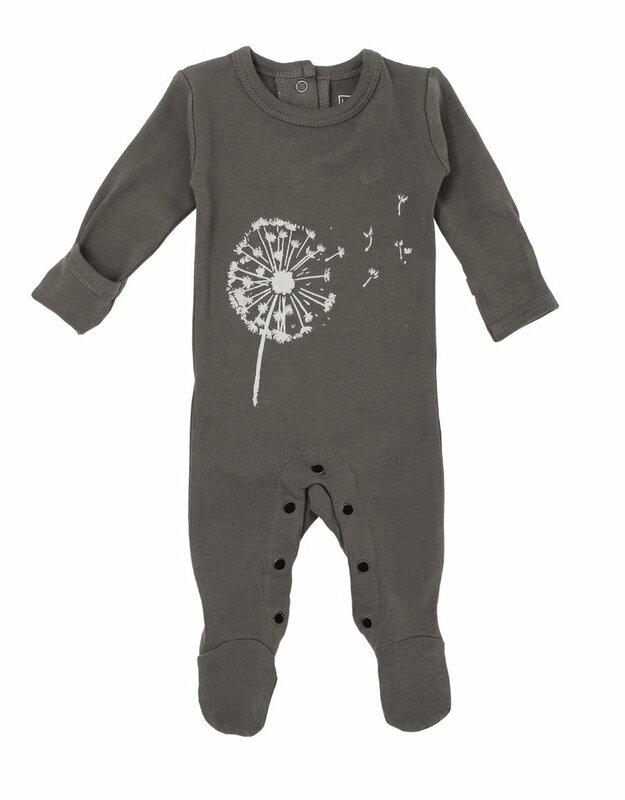 It gets even better when you find out the footie is tag-less, so no irritations for baby; and, it has rubber grips on the bottom of the feet to ensure no slipping when your little one is becoming brave with standing and even walking!